Cottrell’s NextGen equipment is the latest in transportation technology with a soft tie down system that meets the requirements of new vehicle manufacturers such as Toyota and General Motors. 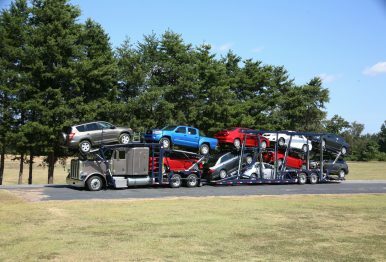 With a complete line of size and load capabilities, these haulers are extremely efficient and provide some of the fastest loading and unloading times available in the industry. The NextGen line also features enhanced loading capabilities, better weight efficiency and the ability to load vehicles from ground level.